Sometimes headlines can actually be clever? and the photo ain’t bad, either. 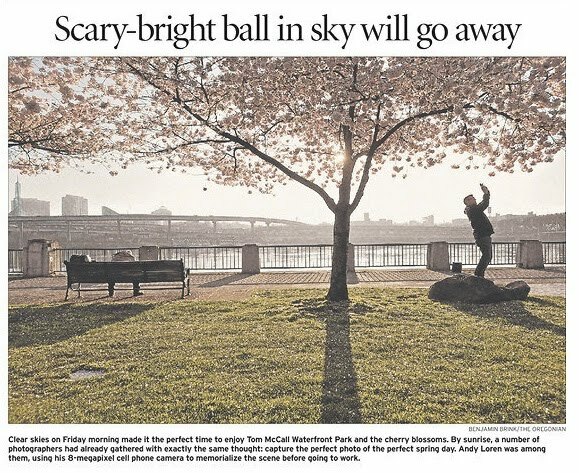 In the doldrums of the winter-spring-greyness season, a bit of humor is difficult to muster up, let alone slap across the front page of the paper. I’m digging it. Upgrade Yourself: Be A Better Man in 30 Days? I’m not usually a huge fan of overtly manly guides to anything, thus I was leery about Gear Patrol’s upcoming “Be A Better Man in 30 Days.” But Gear Patrol, a blog that defines itself as “The Definitive Resource for the Ever-Evolving Man” and typically is a blend of luxury, style, sports, and technology may be on to something with this series. Yesterday’s feature was tie and shirt pairings, today’s post was a brief rundown on “properly ordering a steak.” Simple, well done, and an interesting blend of style, commentary, and just enough machismo to give it character without coming off as a bit contrived. If you’re bored, it just might be worth watching (which is more than I can say for most stuff out there). This idea is so simple yet so awesome. BlahblahFish (a clever yet obvious take on BabelFish) is a translator of sorts, but instead of translating into another language, it translates back into English, making a temporary stop in a different translation. Definitely worth a few minutes to play around with it… and it kind of changes the way you think about translators. This made me laugh – probably more than it should. It takes chatspeak/1337 to a whole different level. And it also reminded me I need to make an optometrist appointment. If only they had this chart on the wall. I remember seeing the chart in an actual Polish tv spot here, but for some reason, I find the large image-version a bit more humorous. I was somewhat surprised when I looked at the front page of the Living section in The Oregonian yesterday. 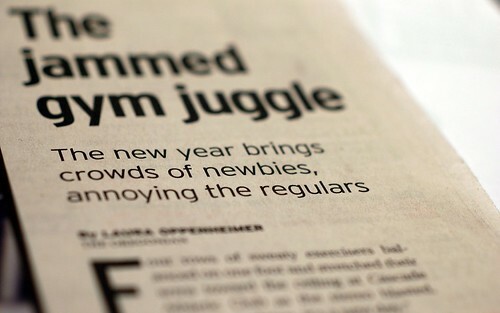 The subhead of the feature story mentions “crowds of newbies” invading the gym. For some reason, seeing “newbies” in print on the front page of the paper made me a bit uncomfortable. Maybe I’m just used to internet jargon staying on the internet. I don’t expect newb and p0wnage to become regularly used in common English, let alone enter the lexicon of print journalism. I expect it from some of my friends, but not from The Oregonian. Maybe a weekly like Willamette Week and I wouldn’t be surprised, but for some reason, newbie just doesn’t feel very AP to me. 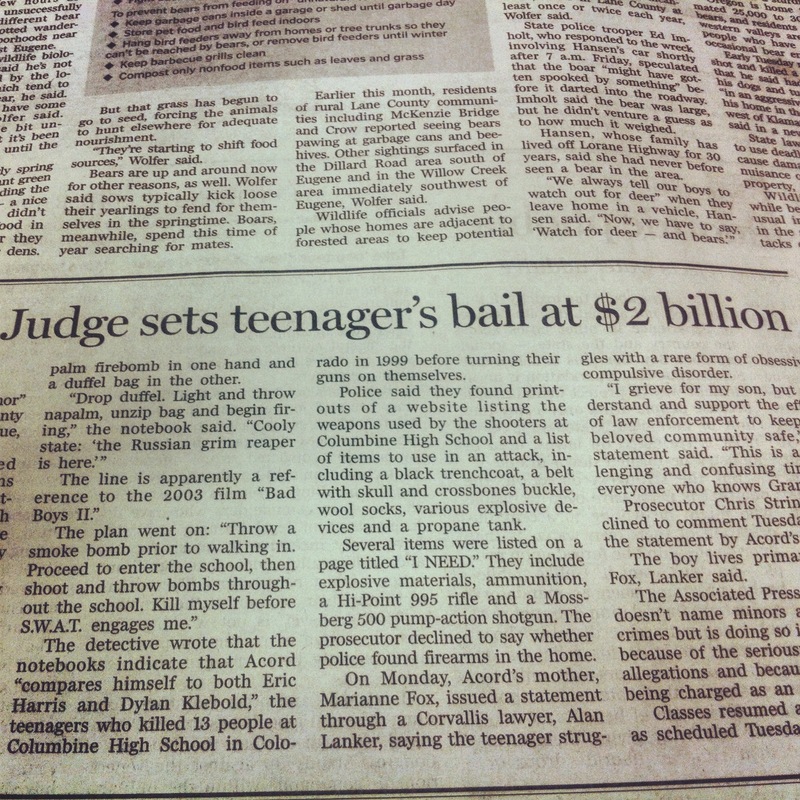 Then again, it’s not like the headlines are being written in L33t yet. But I have to wonder how far off that really is. Almost a year ago, I wrote about the brilliance of the Michael Walsh “video,” The Machine is Using Us… Well, the same concept has been taken leaps, bounds, and blog posts further in the newest project from Walsh. The first was so stunning and powerful, I didn’t expect anything else to come close. I was wrong again.